Last week was crazy. I only worked twice during the week. We had below freezing temps. Extremely below freezing temps. The wind chill on a couple of the days registered -20 or so below. I’ve been in the mood for homemade granola so I decided to experiment. With Valentine’s Day approaching, I thought chocolate covered strawberry granola would be a great version. In a large microwavable bowl, combine oats, milk, water, and salt. 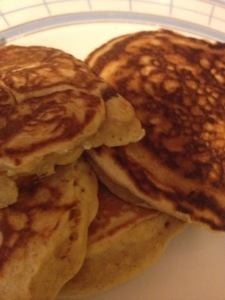 Top with butter, maple syrup, and cinnamon. Top with sugar and chopped pecans or walnuts if desired. Until a few years ago, breakfast was not a favorite meal of mine. I almost never ate breakfast which is not a good habit to get into. Then I made a resolution in 2013, to eat breakfast every day. I did 98% of the time but a few times I forgot to – usually if I was sick. I’ve been getting into the habit of not eating breakfast some mornings or grabbing breakfast at school. Those breakfasts are not the healthiest so I need to rethink breakfast once again. 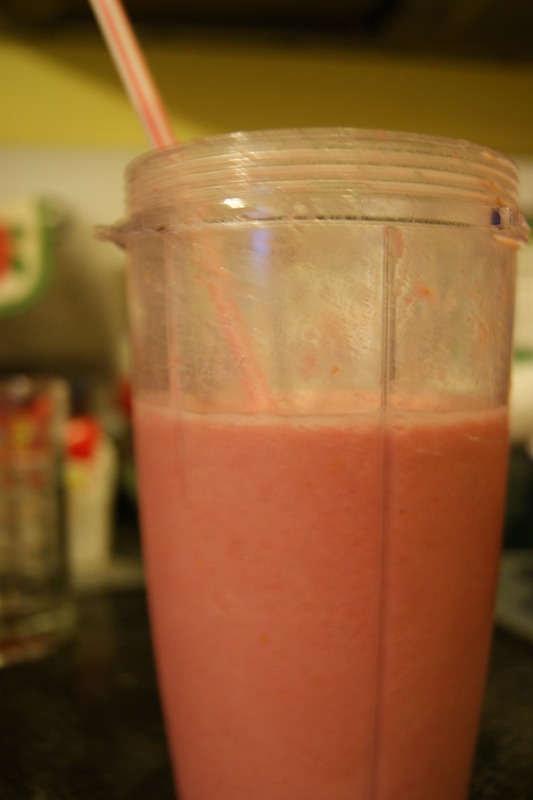 In August of 2013, I wrote a blog post about 6 Easy Breakfast Foods. One of the foods I mentioned is oatmeal. Oatmeal can be eaten hot or cold. It can be savory or sweet. I have not eaten savory oatmeal though. I took oatmeal packets with me to Walt Disney World when we went during my Spring Break in 2014 with a hot water kettle. Mornings were oatmeal and coffee and then running around the parks. Lately, I have been craving oatmeal for breakfast. I tried to make some overnight oats for breakfast on Friday. However it was very runny. So I did not eat it since it was unappetizing. I tried to make a different overnight oatmeal Friday night. It ended up being much better then Friday’s oatmeal. It tastes just like fall. Yum! A year ago, I had made this recipe while the boys and I were on a road trip so I knew it was good. However I stopped eating oatmeal for a while. Actually I continued to eat oatmeal but in the form of granola. So why is overnight oatmeal a great choice for breakfast? It can be made up the night before. You don’t need to cook anything. Just place in the container and go so it’s great for when you are on road trips. You can dress it up almost anyway you like. Some overnight oatmeal recipes call for yogurt while other’s don’t. This one is one that does not call for yogurt. Instead I use applesauce as the binder. You can either use homemade applesauce or store bought. It’s totally up to you. If you are using unsweetened applesauce, feel free to sweeten the oatmeal up with some honey. If you want to add some protein, add some nuts. I think walnuts are a great type of nut for this overnight oatmeal. In a jar or mason jar, place the oats, milk, applesauce, cinnamon, and sweetener if using. Put the lid on and shake up. Place in the fridge overnight or for at least 3 hours. When you are ready to eat it, take it out of fridge. Allow to sit on the counter for 10 or so minutes to take the chill off. Add the nuts, if using. My other favorite treat is granola either plain or with plain Greek yogurt. So the combination of the taste of Almond Joy candy bars with yogurt is the best flavor combination at least it is to me. 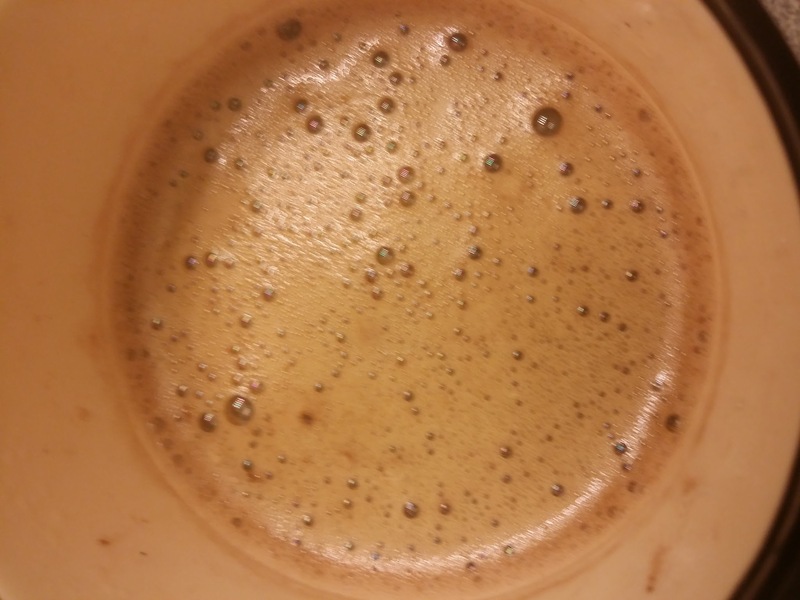 In a large mixing bowl, combine oats, cocoa powder, and salt. In a smaller mixing bowl, combine the coconut oil after it’s heated up, honey, sugar, and almond extract. Pour the wet ingredients over dry ingredients. Mix until combined. Spread in a thin layer on a cookie sheet. Bake for 8 minutes, stir, and then bake for another 8 minutes. Take out of oven and let cool for 10 minutes. Then add almonds and coconut. Store in an air tight container for 2 weeks. Enjoy by itself or over yogurt! For a long time, I had wanted to try Larabars but was afraid because I didn’t know how they would like it because of the dates. Once I finally tried one of the bars, I decided it was not as bad as I thought it would be. The best things about this recipe is you don’t need to bake them. I also like all the different textures and flavors within one little ball. Combine the dates, honey, pumpkin puree, chia or flax seeds, and spices in a food processor. Pulse until it’s smooth and combined. Put the mixture into a large mixing bowl. Stir in the remaining ingredients until evenly combined. Cover and refrigerate for a minimum of 30 minutes. 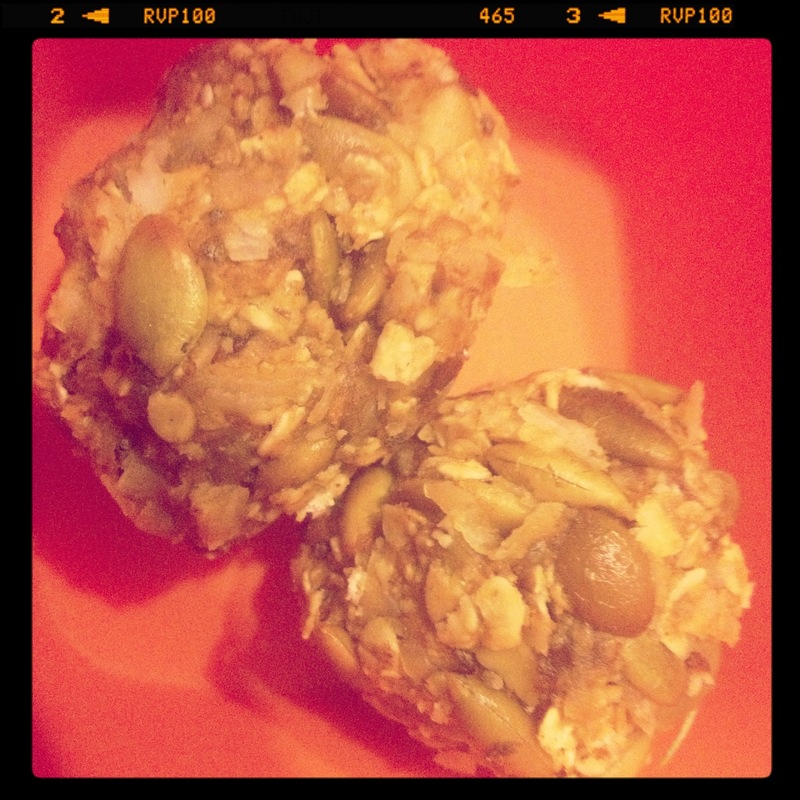 Once it’s cool, using a spoon or cookie scoop to shape into desired size of energy balls. Enjoy – Savor the textures and flavor as you are eating them. 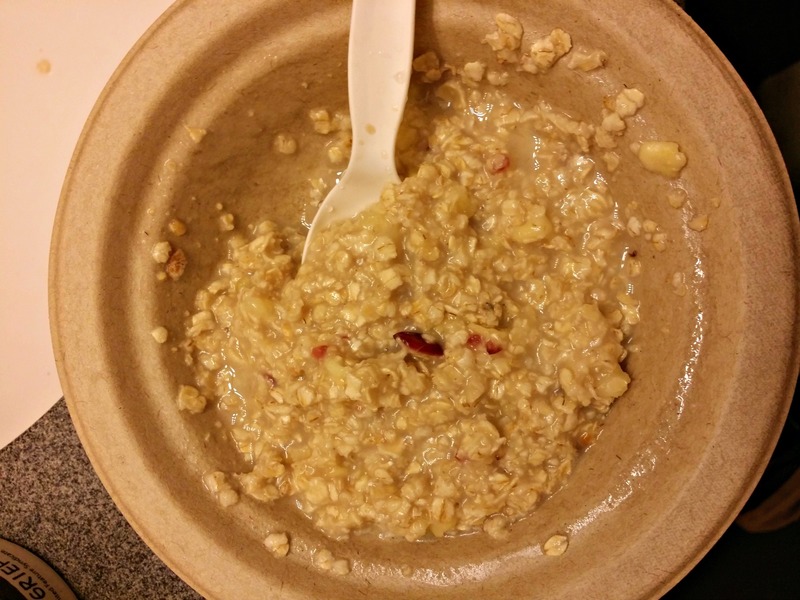 A couple of days ago, Tiffany from Eat at Home posted a recipe for cranberry orange oatmeal cooked in the slow cooker. 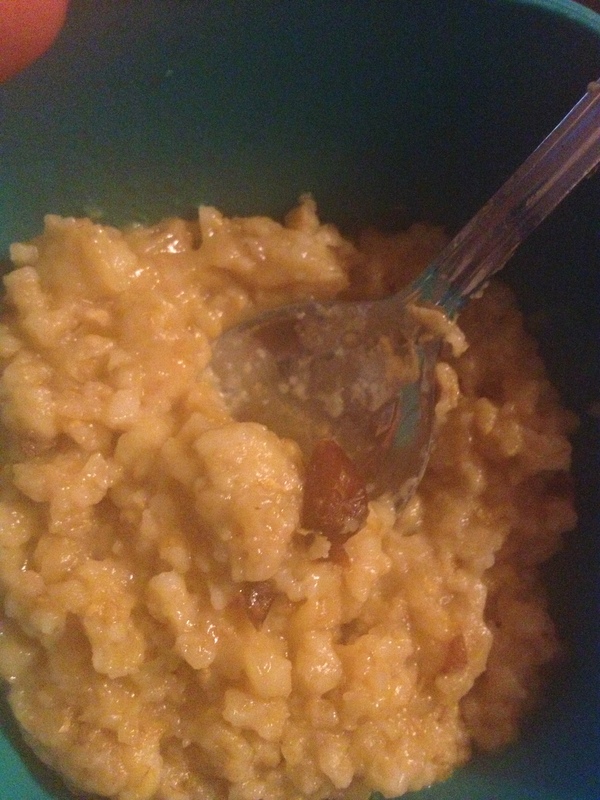 I’ve attempted to make oatmeal in the slow cooker and it did not turn out pretty. Most of it was wasted. Find a bowl that is big enough to hold the oatmeal but small enough to fit in the slow cooker. It also needs to be oven safe. Spray the bowl with cooking spray and add the ingredients. Place the bowl in the slow cooker. Pour water around a the bowl to create a water bath (an inch high). Place the lid on the slow cooker. Turn the slow cooker on low and cook for 6 to 8 hours. BTW: I used a 6 quart slow cooker. Last November my foodie pen pal introduced me to Chinese five spice and suggested I use it in some of my fall time recipes instead of pumpkin pie spice blend. The five spice really does take it up a notch. If you didn’t know, Chinese five spice is a spice blend of cinnamon, star anise, white pepper, cloves, and fennel. It’s primarily used in Chinese cooking but is found in other cuisines. With fall around the corner and the pumpkin spice latte already at Starbucks, it’s time to start my favorite flavor season. I love fall flavors! Apples, cranberries, and pumpkins, oh my goodness deliciousness. Cinnamon is my favorite spice. So if asked, my favorite seasons are the transition seasons – fall for it’s bold flavors and spring for it’s beauty. I got some apples from one of our local produce stands so I decided to make myself an apple crisp. Since the boys do not eat apple crisp, I decided to make myself my own individual apple crisp. Instead of using cinnamon, I used the Chinese Five Spice. Spray your glass dish with cooking spray. Add the apples to the dish. Sprinkle the apples with 1 tsp. of Chinese five spice. In another dish, mix the oats, brown sugar, and the other tsp. of Chinese five spice. Evenly distribute the oat mixture over the apples. 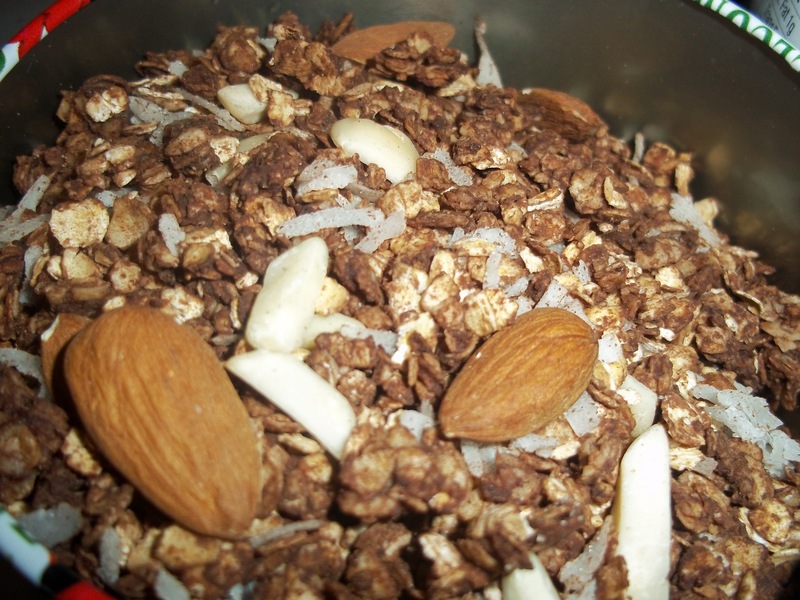 If you are using nuts on the top, sprinkle those on top of the oat mixture. Place the pats of butter over the oat mixture. Microwave for 2.5 to 3 minutes. Careful it will be hot. Top with ice cream or whipped cream if desired. In January, I made a resolution to eat breakfast on a daily basis. I’ve been faithful towards that resolution except for one time. That one time was killer on my body. My blood sugar was not stable so that made the likelihood of me making bad food choices increase. As the school year starts, I decided to compile a list of good breakfast foods that are easy especially with a little prep. This is my favorite breakfast. In fact, when we were at the beach, I ate this for breakfast several times. In a bowl, I place Greek yogurt, granola, and fresh fruit. (My favorite Greek yogurt is Greek Gods Nonfat Plain.) 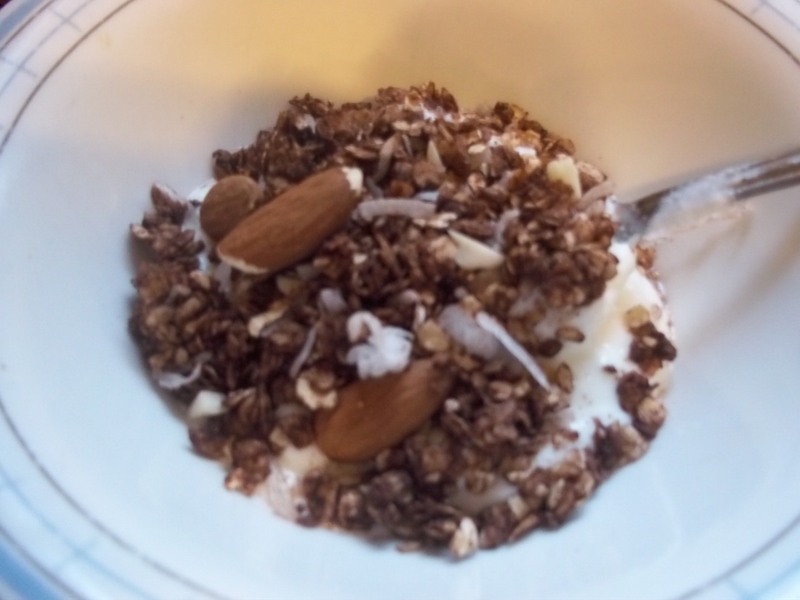 You can dress it up anyway you want – nuts, Chia Seeds, coconut, different types of Granola, and different fruits. All it takes is some quick oats and milk/almond milk/water. Place in a bowl and microwave for 2 minutes. You can add a nut butter, chia seeds, flax seeds, chopped up nuts, coconut, and/or fruit. Place the fruit on the oatmeal before microwaving for a whole different flavor experience. This can be done in a million different ways. Okay, maybe not that many different ways but you can change it up depending on your mood. veggies – spinach, onions, etc. . .
After you cook the eggs, assemble your sandwich and then enjoy! Depending on what flour and the ingredients in your muffins, they can be a semi-healthy choice for breakfast. Whole wheat flour is the best flour to use when making muffins. 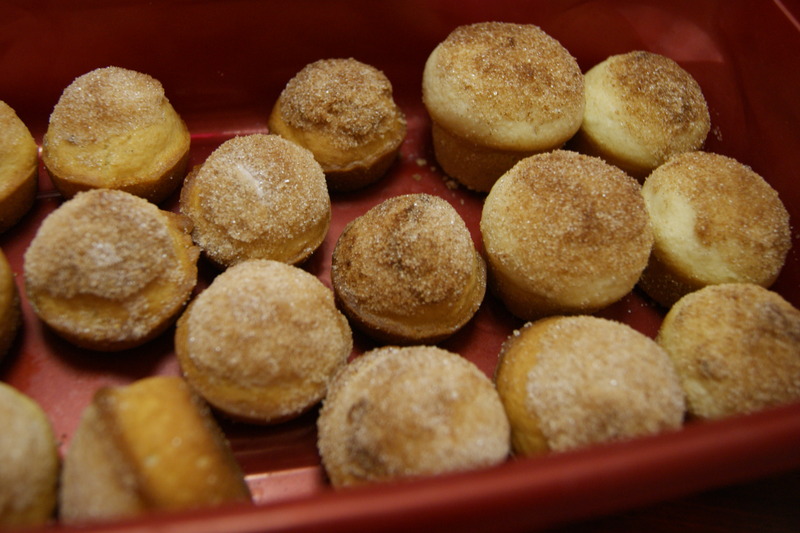 Lots of fats (oil) and sugar will make your muffin become unhealthy. Replace your oil in your recipe with unsweetened applesauce (1 to 1 ratio) to make it healthier. You can make the muffins ahead of time and then freeze them. Pull a muffin out of the freezer and warm it in the microwave. I usually pair them with a cheese stick and fruit for a more balanced meal. This is another favorite of mine. I pair this up with either a cheese stick or a hard boiled egg. This one can be easy if you make the pancakes or waffles during the weekend and then freeze them. Pop them in the microwave or toaster for a quick breakfast. You can use the pancakes and waffles for your breakfast sandwich. You can also top the pancakes or waffles with a nut butter. Pair it with some fruit for a balanced breakfast. What is your favorite easy breakfast?